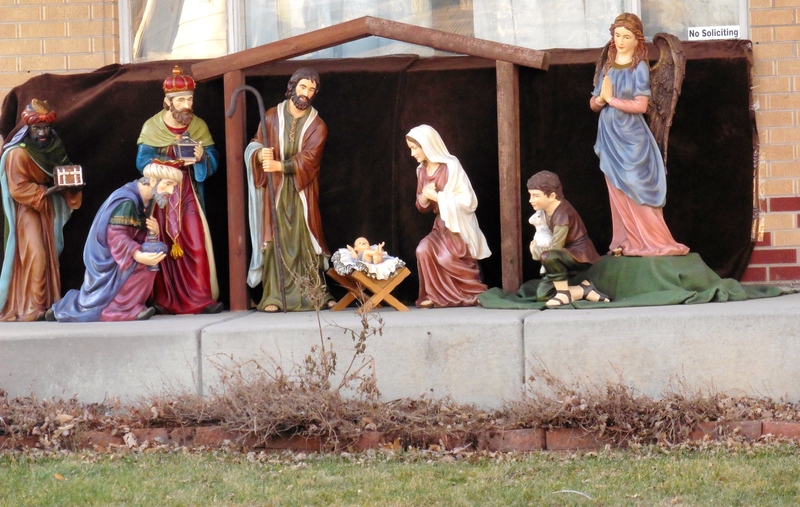 Today we want to show you great Christmas decorations. Some are from this year, some for previous years, and some are repeated every year. 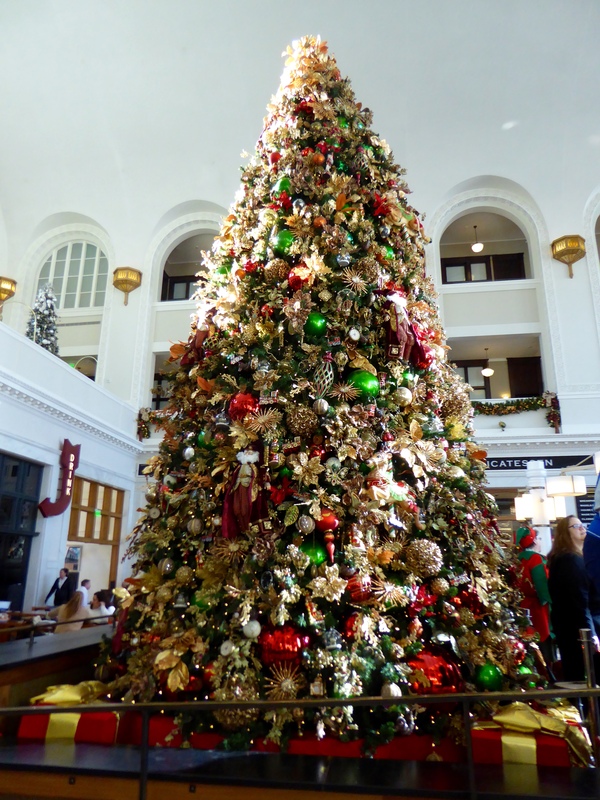 Denver’s train station, Union Station, has a great tree this year. While we were there, a group of employees came here posing for mannequin photos. These humans posed, in a frozen position, for several seconds. It was interesting to see. 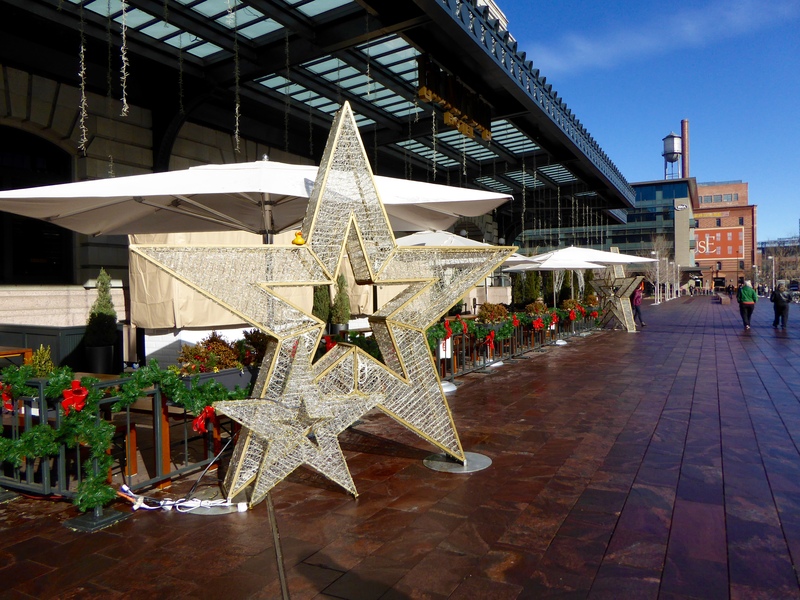 Outside, in front of Union Station, I liked this star. I, Zeb the Duck, really need to talk to Santa. I have a Christmas request. Chanel and I will wait for him. 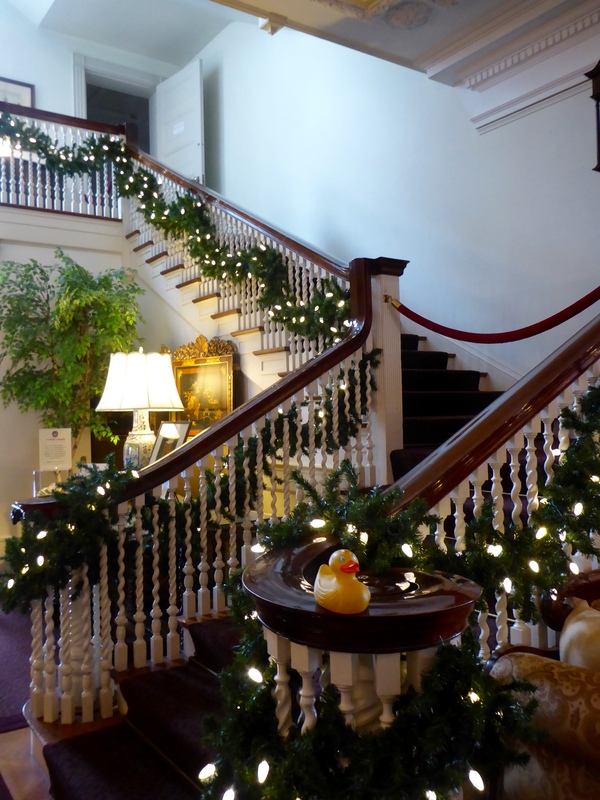 At the Colorado governor’s residence, the staircase is very festive. 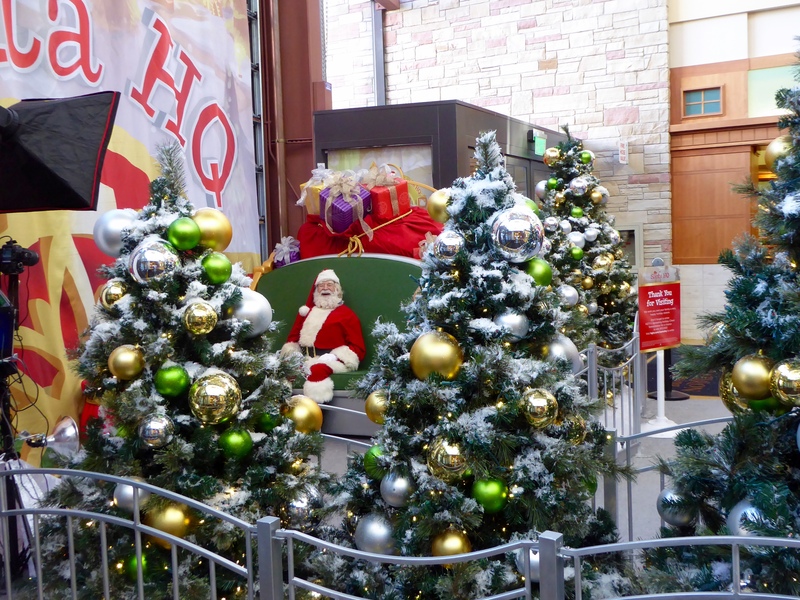 Our shopping malls have a Santa Claus and a decorated area. 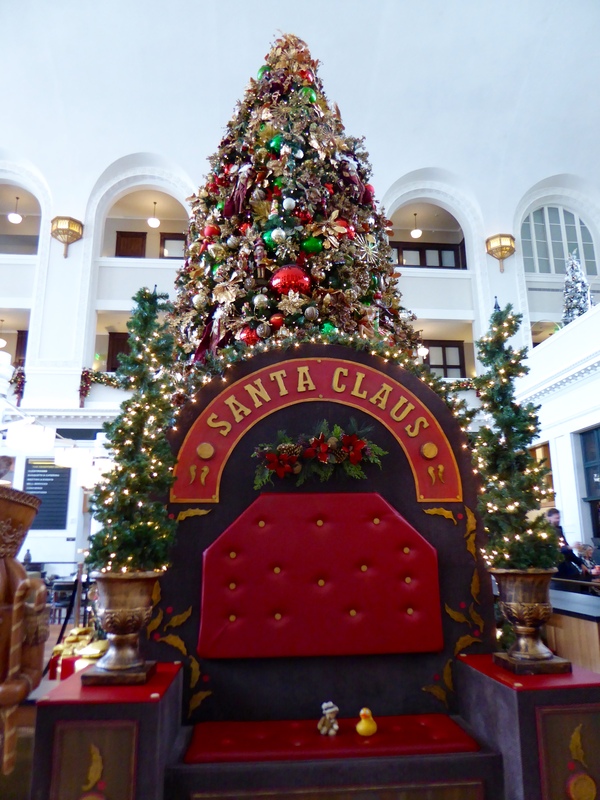 Here Santa is enjoying a moment of calm before the next children arrive. 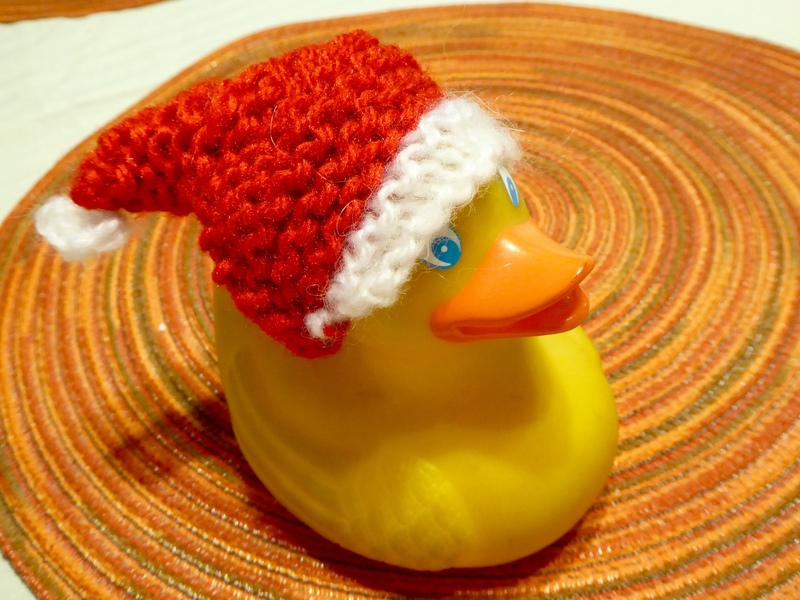 Of course, I, Zeb the Duck, wear my Christmas hat to show my Christmas spirit. We, the Colorado Traveling Ducks, liked this display. We are riding reindeer. 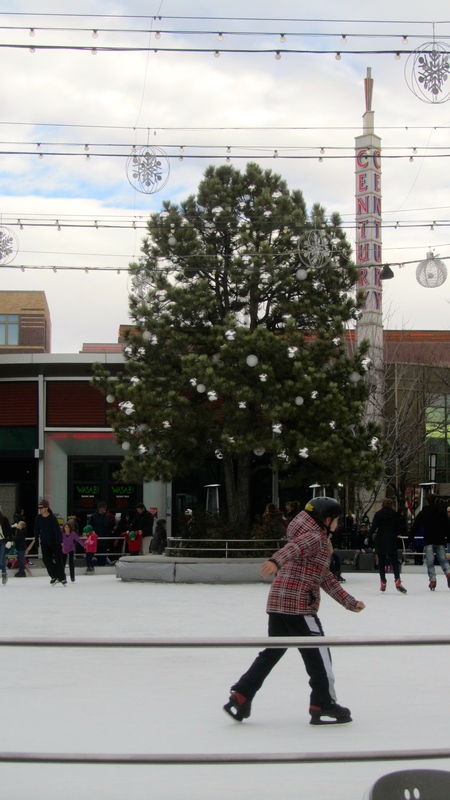 Denver, and many cities, have outdoor ice skating rinks during the holidays. 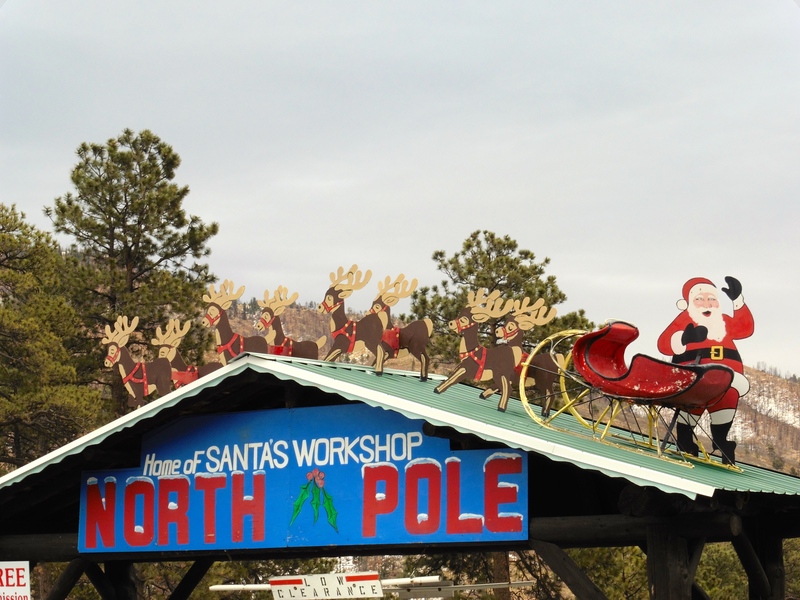 Santa has a village and toy shop in Colorado Springs, on the way to the summit of Pikes Peak. 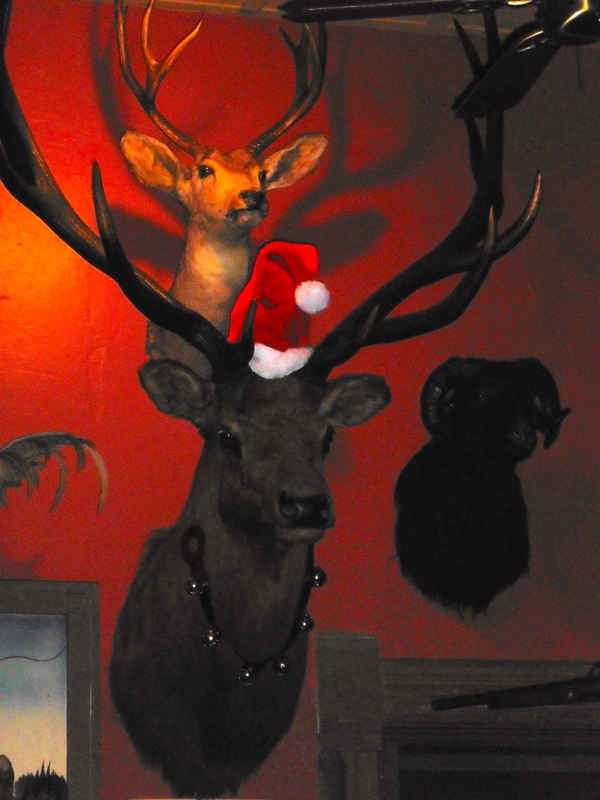 At a restaurant, the Buckhorn Exchange, even the animals dress for Christmas. 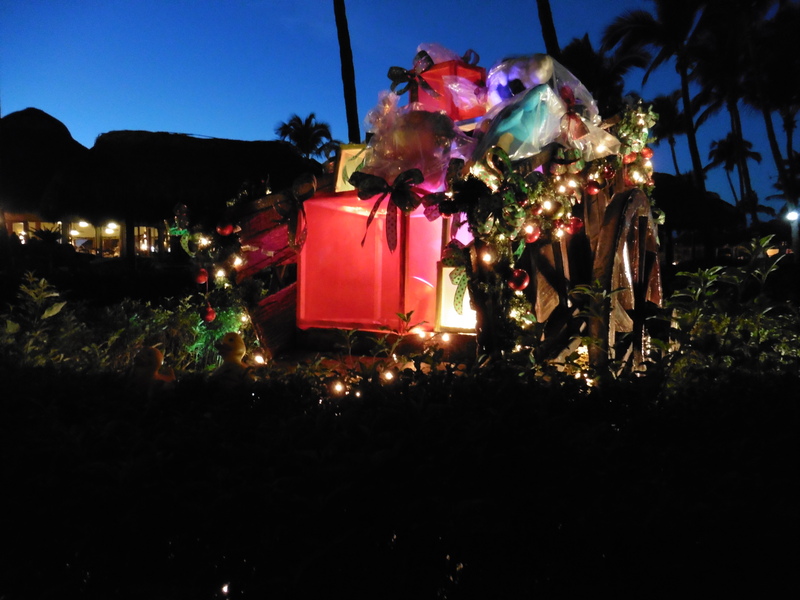 We remember this wagon full, of presents, at Torres Mazatlán, in Mazatlán, Mexico. 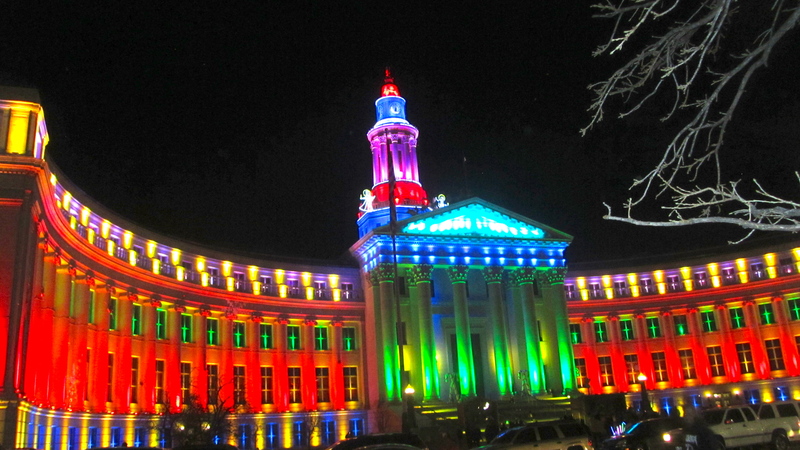 A favorite is the lighting display at Denver’s City and County Building. Remembering, as the saying goes, “don’t forget the reason for the season”. There are so many beautiful decorations and displays of lights and we appreciate and love them all. 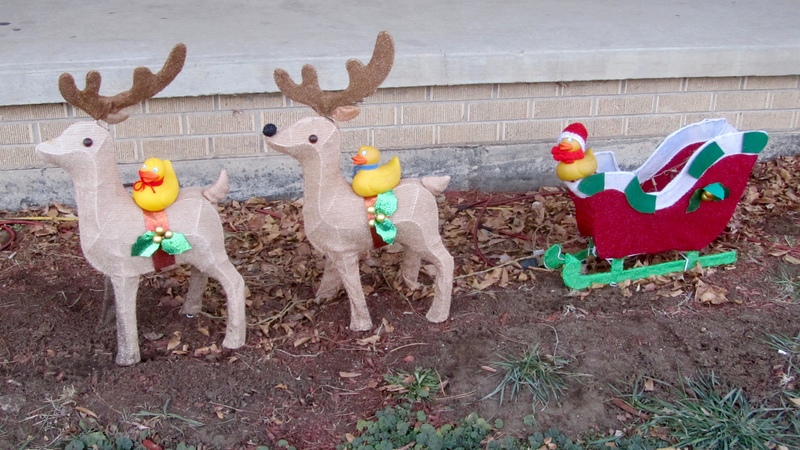 This entry was posted in Colorado, Holidays, Uncategorized and tagged Christmas decorations, Colorado Traveling Ducks. Bookmark the permalink. Have not seen it. Will look for it, though. Thanks for reading and commenting. I would to have matching hats with Justin. Thanks for reading and commenting. Merry Christmas to you. 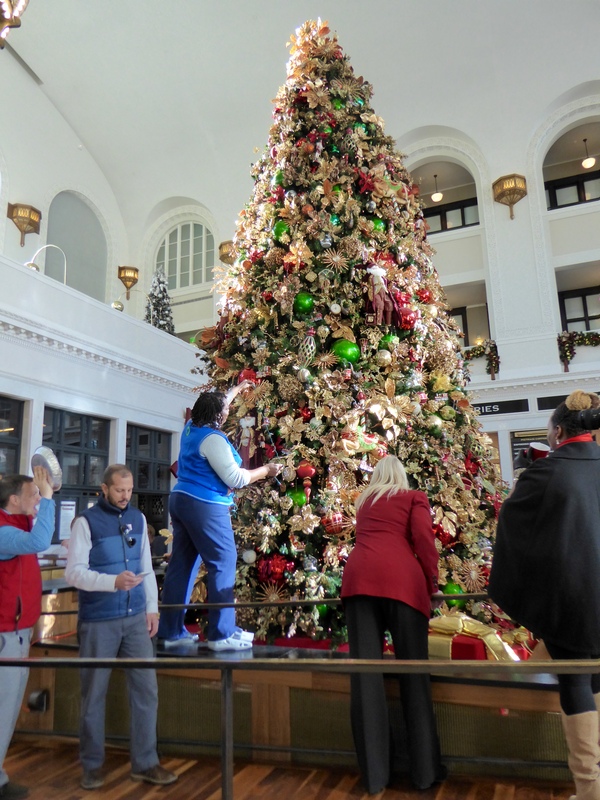 We love Christmas decorations! Thanks for reading and commenting.